OrgChem101 is a set of organic chemistry learning modules that provide structured guidance as you (the student) explore organic chemistry concepts. The modules provide metacognitive support, interactive instructional videos, animations, and interactive activities that promote the mastery of concepts, provide feedback, and link to real-world contexts. The learning outcomes for all of the modules target the development of domain specific knowledge, higher order thinking and metacognitive skill development. Metacognition is the: (1) awareness of your knowledge (or lack thereof) and (2) the strategies you use to plan and monitor understanding and performance. In these modules, we provide opportunities for you to self-assess your knowledge, complete an assessment, compare your self-assessment to your results, and reflect on your results. These self-assessment and reflection opportunities arise explicitly at the start and end of every module, but we encourage you to use this information to continually plan and monitor your learning. Jonassen, D., & Land, S. (Eds.). (2012). Theoretical Foundations of Learning Environments (2nd ed.). New York: Routledge. Although we provide a recommended path to complete the modules, you can jump ahead or go back through the modules as you choose. To maximize flexibility to institutions using the modules, the modules are designed for stand-alone use or combined in a series. Instructors are able to choose the order they would like their students to work through the modules. Therefore the modules are appropriate for blended, flipped, fully online courses, or as supplementary modules for traditional courses. Designed and produced by the Centre for e-Learning, Teaching and Learning Support Service (TLSS), University of Ottawa. 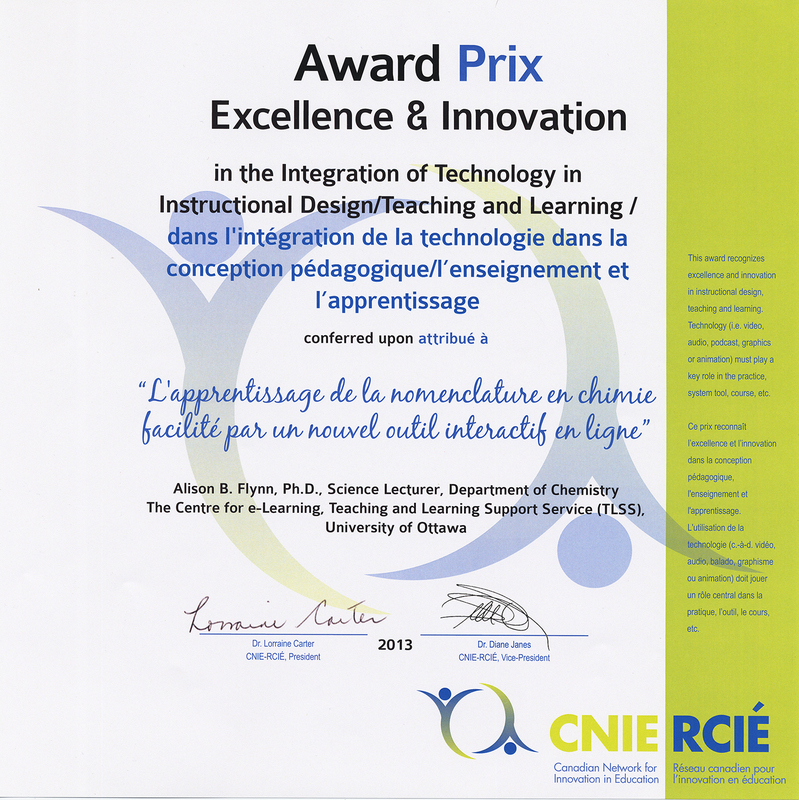 Development of the modules was funded by the University of Ottawa, the Chemical Institute of Canada (Chemical Education Fund), and the Ministry of Training, Colleges and Universities of Ontario (Ontario Online Initiative). This tool uses ChemAxon's Marvin JS applet (academic license) and their JChem Web Services (academic license). For assistance using the Marvin JS drawing applet, please consult the user manual.